Clemson on the move. David Barpal photo. 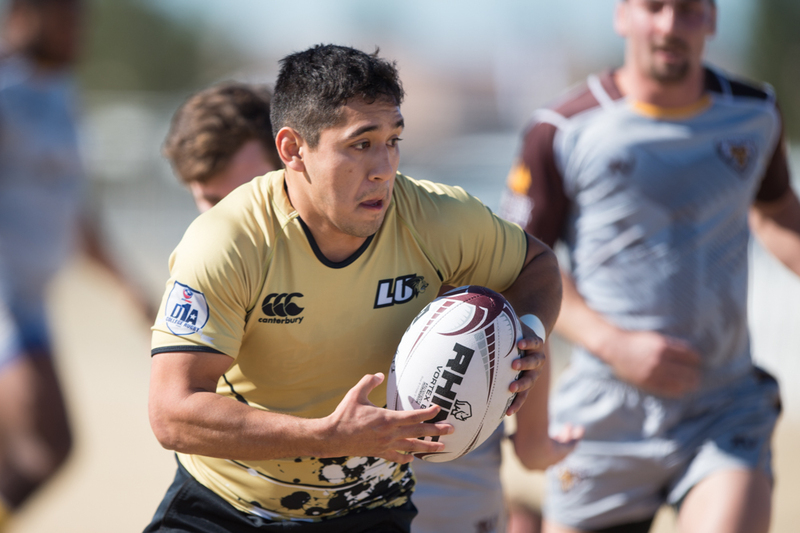 Lindenwood will play Clemson in the final of the Men’s College 7s at the Las Vegas Invitational. Top to bottom, Clemson, Lindenwood, GCU, and Western Michigan. David Barpal photo. The winner will get a spot in the CRC invitational tournament in Chester, Pa. in June. 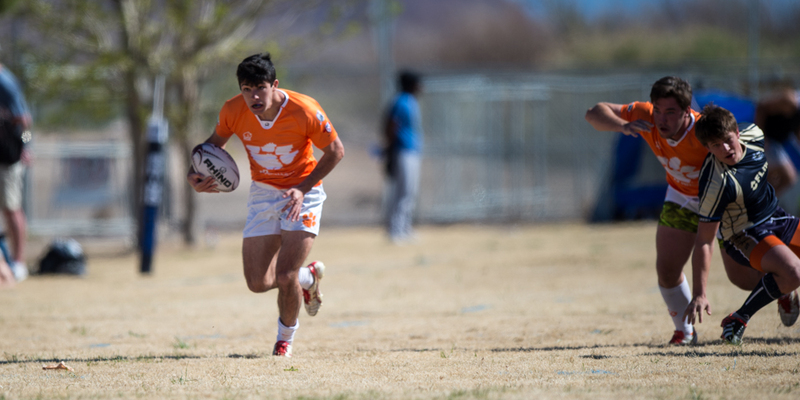 The final will be played at 10:12 am Pacific Time in Sam Boyd Stadium in front of the USA 7s international tournament crowd. Lindenwood defeated Lindenwood-Belleville 40-15 in the quarterfinals, and then slammed Notre Dame College 36-0 in the semis. Despite the seeming dominance, Lindenwood Head Coach Josh Macy said his team did have to work for it. Still, in their five games so far the Lions have scored 211 points and given up 20. Michael Baska has been a force for Lindenwood, while Nick Feakes has read the game well. Clemson, meanwhile, has been polished. They shut out their first two opponents on Thursday and went 3-0 overall. Against Santa Clara in the quarters it took them a while to really fire, but they won 21-5. I the semis against Central Washington, the Tigers pulled off their best performance of the week. 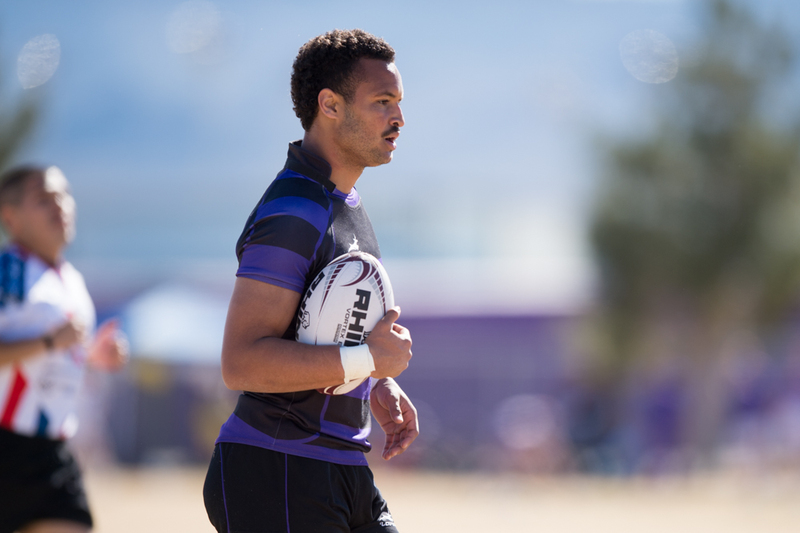 With Jason Damm powering through tackles, they have been getting consistent go-forward. Jams Rogers scored an early try, and then Damm set up Drew Dommel before Dylan Goulding scored. Up 19-0 at halftime, Clemson weathered a torrid CWU comeback, and held on 19-12. "Santa Clara was a solid team," said Clemson Head Coach Steve Lynch. "I am good with my guys working for it. It's building character in my players." Everybody on the team knows his role, added Lynch. "We believe in each other and trust each other. We did very well in the possession game in every match we played. We did well in the air on kickoffs, and that starved teams of possession and made them work extra hard." "We worked really hard in the first half, and we made them play a lot of defense," said Lynch. "I think we had the ball for five of the seven minutes." A yellow card in the 9th minute and CWU scored two tries, but Clemson's subs did well, and Hunter Dawsey made a huge tackle. They understand the commitment to the team and playing to the final minute. Meanwhile, Grand Canyon, which missed the Cup Quarterfinals by only a few points in points difference, finished off Friday with a 3-0 run. 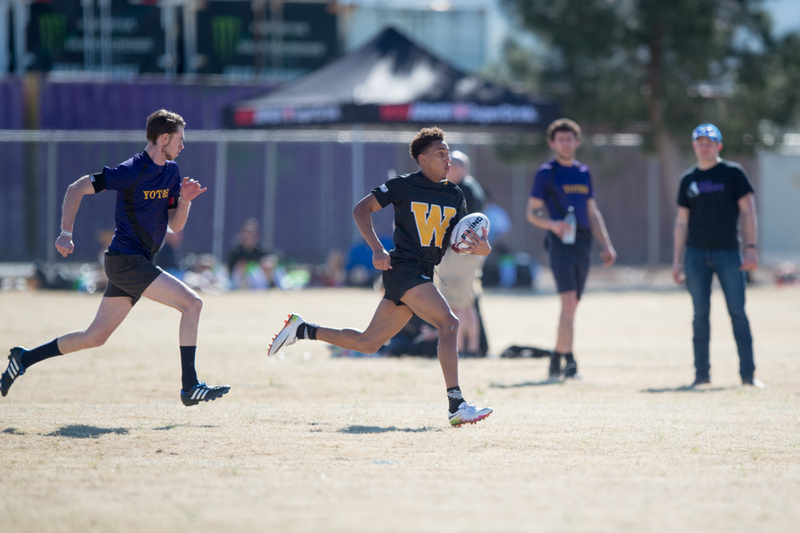 They beat Buffalo 26-15 in the Plate Quarterfinals, edged James Madison 26-21 in the semis, and then got tries from Bendron Curle, Josh Ransom, Ricky Wisdom, Maceo Brown, Austin Taefu, and Curle once more to beat Western Michigan 38-14 to win the Plate.